The Moody Gardens Hotel is a 428-room luxury destination nestled in a lush and tropical landscape and is the premiere vacation destination for Spring Break and Easter this season. If you plan on joining us, we have a couple of great hotel packages to make your trip more fun and memorable. While you’re spending spring break or Easter weekend with us be sure to check out our special promotions going on at Moody Gardens. At the Spa at Moody Gardens when you buy one Swedish massage, you get the second one free, and at the Moody Gardens Golf Course, you can enjoy a free golf cart and bucket of range balls with your purchase of a round of golf. We look forward to seeing you this spring! 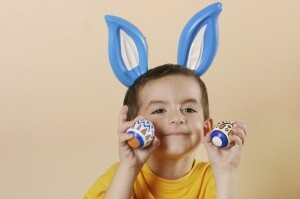 Easter in the Gardens is more than just the annual Moody Gardens Easter Egg Hunt. 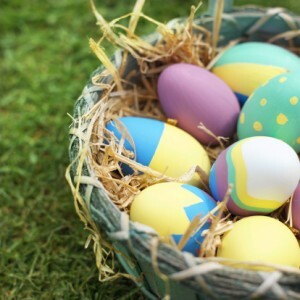 While children will be spending their time running around the Oleander Bowl collecting colorful eggs, there is also an Easter Buffet feast being served. Think of all the time and stress you will save by not cooking a giant Easter Sunday dinner for your entire family or cleaning it up! Moody Gardens is giving you the opportunity to spend less time cooking and cleaning and more time with your family. 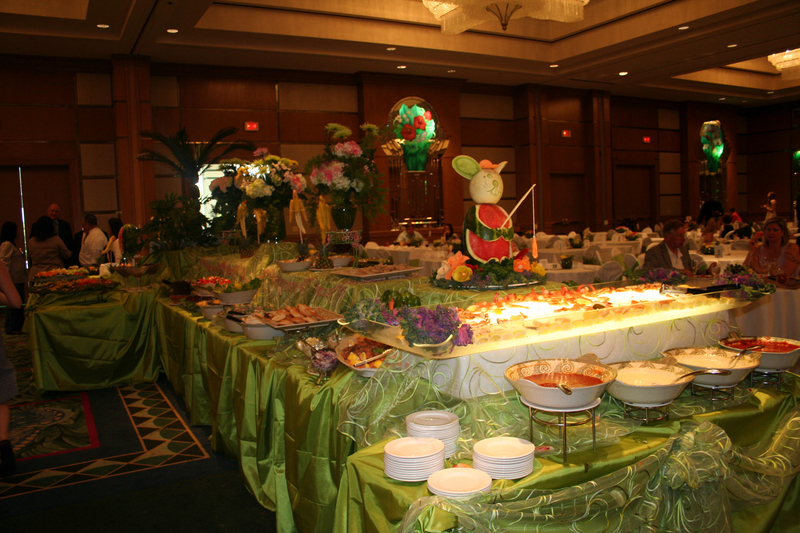 Sit down with family and friends this Easter Sunday for a lavish buffet in either the beautiful Moody Gardens Hotel Ballroom or the Moody Gardens Garden Restaurant. From waffle and omelet stations to gulf shrimp and roasted leg of lamb, there’s something for everyone at this extraordinary buffet. Don’t forget the dessert table which will include french pastries, cookies and cakes, chocolate mousse, cheesecakes, caramel flan, chocolate amaretto bread pudding and much more! Seating from 11:00 a.m. until 3:00 p.m.
You won’t be disappointed with the variety of options at this delicious buffet! You’ll have a variety of soups, salads and entrees to choose from, including Pasta del Mar, Chicken Cordon Bleu or a Carved Roast Sirloin. Kids can also enjoy some of their favorites including macaroni and cheese or chicken tenders with french fries. A variety of desserts, assorted rolls and fresh baked breads will also be offered. If you’ve ever had dinner at Shearn’s Restaurant then you’ve tasted the culinary genius of the famous Chef Urs Schmid. His Shrimp Dejonge and Lobster Bisque are famous here on the island, and for good reason! Keep reading to learn more about Executive Chef Urs Schmid. Urs Schmid was born in Switzerland where he developed his passion for cooking while helping his father prepare meals on Sunday afternoons. As a teenager, he worked in a local hotel kitchen where he had “the time of his life” and decided cooking was his passion. After graduating from high school, Chef Schmid began an apprenticeship at the Hotel Acker-Montana in Wildhaus, Switzerland. He also began his culinary education in Lucern. Chef Schmid worked in many hotel kitchens before serving in the Swiss Army. After completing his military commitment, Urs Schmid continued gaining experience in the culinary arts by working seasonal jobs as commie de cuisine and chef de partie in some of the finest hotels in Switzerland, including the five-star Grand Hotel Viktoria Jungfrau in Interlaken. Urs Schmid followed his culinary passions to the Bahamas where he worked as sous chef at the Cotton Bay Club and sous and executive chef at Cap Eleuthera. While working in the Bahamas, Urs Schmid was introduced to Mrs. R.E. Bob Smith, who convinced him to come to Galveston where he became executive chef at the Bob Smith Yacht Club. 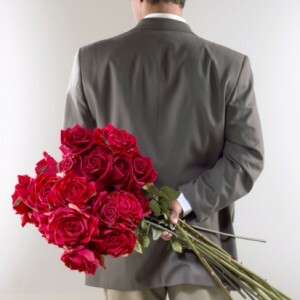 He spent over eighteen years as both chef and general manager of the Yacht Club. His time at the club won him widespread acclaim. He met his wife Elena while working at the Yacht Club and started his family. Elena and Urs Schmid have two sons, and have called Galveston their home since 1980. 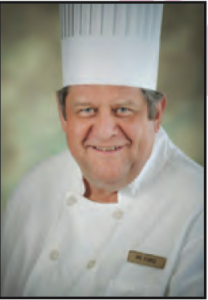 In the fall of 1998, Urs Schmid arrived at Moody Gardens and has served as our Executive Chef since our beginning. Under his direction, Shearn’s Restaurant has become the finest culinary destination in Galveston and has won the AAA Four-Diamond Award on more than one occasion. Executive Chef Urs Schmid has been named Chef of the Year by the Texas Chef’s Association and been awarded a Bronze Star from the Galveston Chapter of the Chaine de Rotisseurs. We are proud to have him as part of the Moody Gardens’ family. 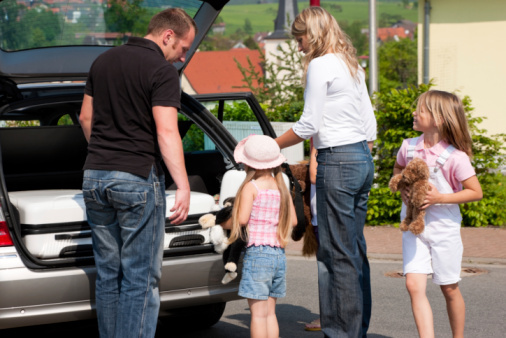 Stay at the Moody Gardens Hotel on your next family weekend getaways in Texas. We are not only one of the best places to stay in Galveston, but also home to the finest restaurant in the area with the best executive chef in Texas! Shearn’s Restaurant has been receiving AAA’s Four Diamond Award of Excellence since 2004, and for good reason! 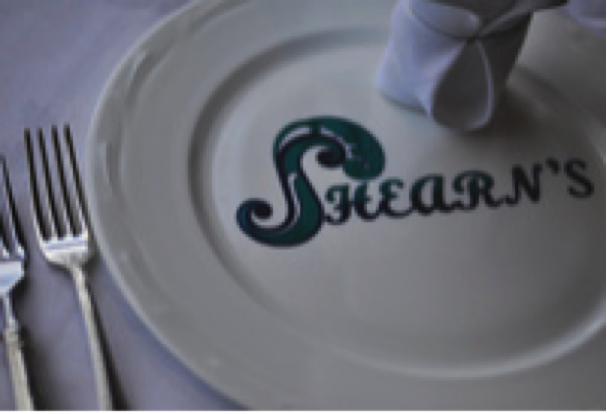 Located on the ninth floor of Moody Gardens Hotel, Shearn’s is the finest restaurant in Galveston. This elegant restaurant is unsurpassed in cuisine, service, and ambiance. 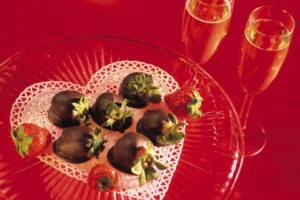 Entrées at Shearn’s are prepared by Galveston’s most celebrated chef, Executive Chef Urs Schmid. People from all over come to Shearn’s Restaurant to try entrées such as the Shrimp Dejonge and the flavorful Lobster Bisque. Shrimp Dejonge: This signature dish features six jumbo shrimp baked in a light Marsala cream sauce and topped with Chef Urs’ mouthwatering blend of herb butter. The dish is served with rice pilaf and a side of garden fresh vegetables. This is one entrée you can’t miss. Your taste buds will thank you. You can order this tasty dish as an entrée, or just taste it out as a hot hors d’oeuvres. Lobster Bisque: Another signature dish from Chef Urs! The creamy bisque is made with fresh lobster from Maine and delicately seasoned. It’s garnished with crabmeat and a touch of sherry. Crab Cakes Topped with Jumbo Lump Crab: Shearn’s signature crab cakes are a dream come true for any crab lover. The Maryland style crab cakes are topped with lump crabmeat and served with angel hair pasta and tomato fondue. Portobello Mushroom Tortelloni Rosa: For the vegetarian, Shearn’s offers a selection of gourmet vegetarian options such as the Portobello Mushroom Tortelloni Rosa. The sautéed Portobello mushroom is tossed in olive oil and blended with baby arugula, pine nuts, and served in a Rosa sauce. Moody Gardens Hotel is not only home to the best upscale restaurant in town, it is also one of the best places to stay in Galveston. After a long day of exploring the beaches, Aquarium Pyramid, and Rainforest Pyramid head over to Shearn’s Restaurant for a beautiful conclusion to your day.